Kiree Thara Boutique Resort - Huay Kaew, Chiang Mai, Thailand - Great discounted rates! 8.0 out of 10 based on 324 verified user reviews via Agoda. The 4-star Kiree Thara Boutique Resort offers comfort and convenience whether you're on business or holiday in Chiang Mai. The hotel offers a wide range of amenities and perks to ensure you have a great time. All the necessary facilities, including free Wi-Fi in all rooms, 24-hour front desk, express check-in check-out, luggage storage, Wi-Fi in public areas, are at hand. Guestrooms are designed to provide an optimal level of comfort with welcoming decor and some offering convenient amenities like television LCD plasma screen, internet access ?ÛÒ wireless, internet access ?ÛÒ wireless (complimentary), whirlpool bathtub, non smoking rooms. Access to the hotel's hot tub, fitness center, hot spring bath, golf course (within 3 km), outdoor pool will further enhance your satisfying stay. Convenience and comfort makes Kiree Thara Boutique Resort the perfect choice for your stay in Chiang Mai. Guests must present an identification card or passport upon check-in to qualify for the domestic residents rate promotion.,The property provides shuttle service to nearby areas. Kindly contact the property for more details. 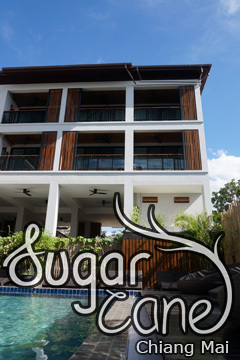 Kiree Thara Boutique Resort - Chiang Mai classifies itself as a 4 star hotel.